PR Pathway Education and teaching are definitely the courses that increase the prospects of international students to eventually get their PR. After successful completion of the higher degree in Education or teaching, international students can get apply for a Skill Assessment with the Australian Institute for Teaching and School Leadership (AITSL). After a positive result, you might be eligible to apply for PR. The teaching profession in the skills lists are Early Childhood (Pre-Primary School) Teacher, Primary School Teacher, Secondary School Teacher, Special Needs Teacher, University Lecturer, Vocational Education Teacher, Teacher of English to Speakers of Other Languages amongst others. Ask for a free consultation today and speak with our friendly consultants about your education, career and PR pathways. Book your free consultation today! Why Study Teaching and Education in Australia? Australia is one of the top destinations for international students seeking quality education. Not only is it home to world class universities, cited annually by world university rankings, but your studies here will be recognized internationally. With the progressive and innovative programs, not only will you learn through the most up to date methods and materials as a student, but you will see Australia’s top-notch education system first-hand that will help you in your own career after your course. What are the available Courses to pursue a career as a Teacher? The Certificate III courses last an average of 1 year while a Diploma’s average duration is 2 years. For Higher Education courses, Bachelor Programs have a duration of 4 years on average while Masters Programs have an average duration of 2 years. What are the Entry Requirements for these courses? *These are average scores, certain schools may require higher or lower scores for admission Visa Requirement Here are some of the requirements in securing student visa. Other relevant documents listed on the Department of Home Affairs visa checklists. Can I get a Credit Transfer or Recognition of Prior Learning? Depending on your previous studies and experiences, you could be eligible to credit previously taken units towards your chosen program. This is so as to avoid unnecessary repetition of a unit you have already taken up in the past. It will also help minimize the cost of the course, help students focus on other units, and shorten the course duration, allowing more time for practical training. Credit Transfers are entirely up to the Course Provider and whether they will accept your previous studies. How do I get registered after my course? After completing either a Bachelor or Masters Course, you will be able to qualify for registering to become a teacher with the Australian Institute for Teaching and School Leadership (AITSL). Depending on what state you graduated form, there may be slight differences in the registration process, but all requirements are updated frequently on their website. Can I apply for a Temporary Graduate Visa afterwards? As a graduate of a Bachelor or Masters in Teaching, you may be able to apply for Temporary Graduate visa*. Temporary Graduate visa holders are able to study, stay and work in Australia temporarily after the completion of the studies, depending on qualifications, for eighteen (18) months to two (2) years. An opportunity to gain relevant local work experiences which may be countered towards Permanent Residency. What are my Employment Opportunities? 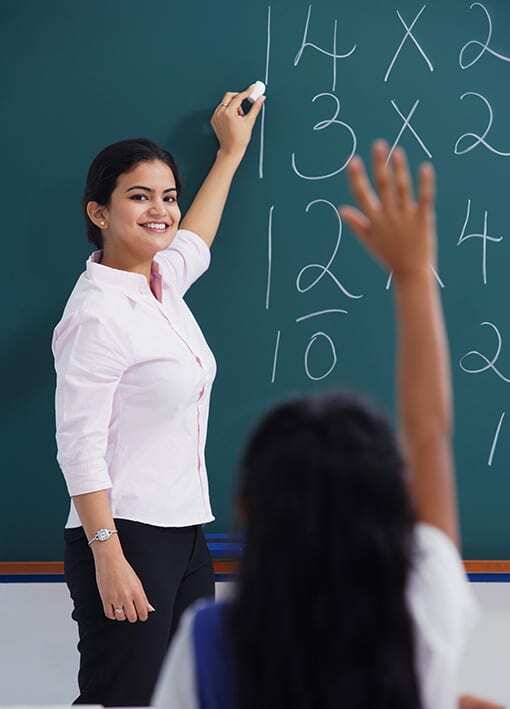 After completion of a Bachelor or Masters, you can jump into a fulfilling career as a Teacher. Depending on what you studied, you can pursue a career as an Early Childhood Education Teacher, Primary School Teacher, Middle School Teacher or Secondary School Teacher. You might even progress to the role of a School Principal if you work hard and gain enough experience after graduating. Opportunities are on the rise for Primary and Secondary School Teachers, and are in great demand for Early Education Teachers. According to JobOutlook.gov.au, teachers also have a much lower rate of unemployment compared to other occupations. Need expert advice to see if this course is right for you?